Sisterdale was founded by Nicolaus Zink, a German freethinker, in 1847. A couple of years later, the town grew as a result of people referred to as “Forty Eighters” fleeing to the United States during the European revolution of 1848. It’s post office was opened in 1851, and by 1884 it was home to a grocery store, cotton gin, and a shingle mill. By 1914, the population of the town fell tremendously and is still estimated to be home to under 100 people to this day. Today, Sisterdale is an unincorporated farming community. There is no bank and no gas station. However, the cotton gin, a dance hall built in 1890, and an old schoolhouse still stand today. 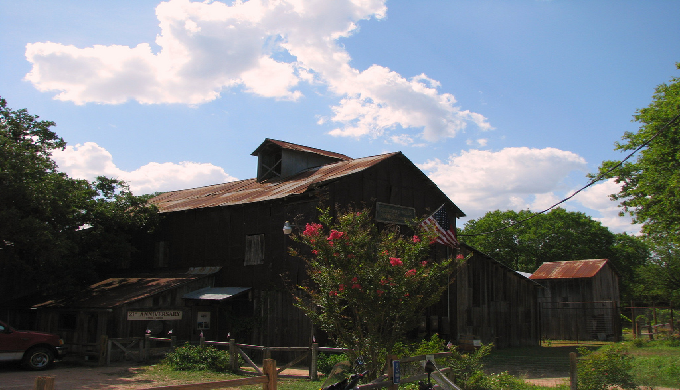 The cotton gin is now home to a winery and the dance hall is now used as a venue for weddings and parties. Sisterdale is also home to a general store and a candle company. Sister Creek Vineyards is a winery whose wines have won awards at both local and international competitions. On the must have list is Sister Creek’s Muscat Canelli Reserve, a sweet and slightly carbonated wine with a crisp, citrus flavor. If you prefer red wines, Sister Creek’s Merlot takes the cake. It is a full bodied wine, rich in flavor and topped off with a hint of vanilla and spice. 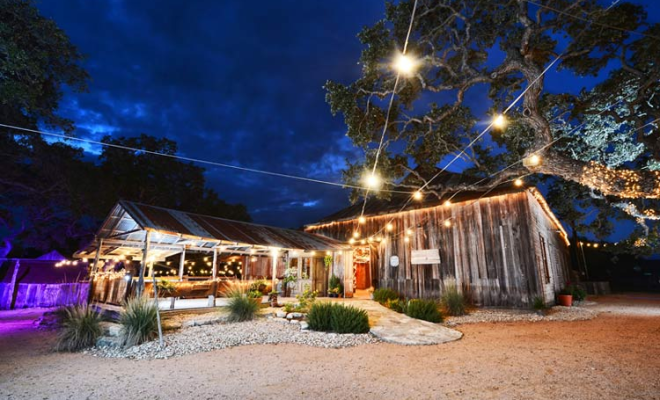 Be sure to include this darling winery on your next Hill Country wine tour. 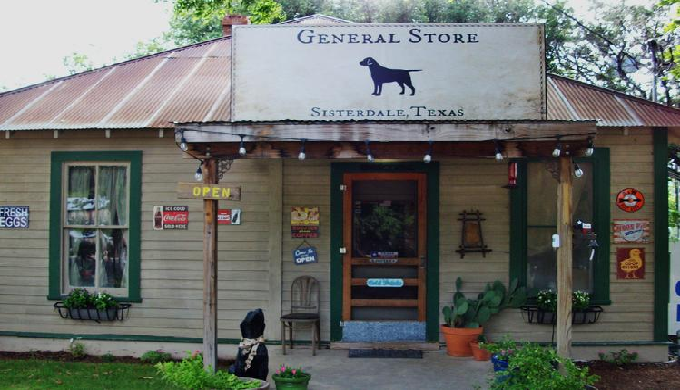 Across the street from Sister Creek Vineyards is the Sisterdale General Store, which offers more than just groceries to the locals of Sisterdale. 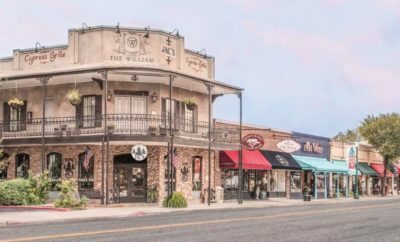 They also offer handmade leather goods, wine tours, tube and kayak rentals, Guadalupe River pick up and drop off services, and even lodging at the Moon Pie Motel. The Moon Pie Motel offers two lodging options. The first in a vintage Airstream Travel Trailer, which sleeps 3 adults or 2 adults and 2 children, and overlooks Sister Creek Vineyards. The second option is a new travel trailer dubbed as the Moon Pie Mini. It will sleep two guests.